SMS text message marketing is a viable marketing tool for small and mid-sized companies however it remains largely unused. SMS is used by some of the world’s largest brands and but remains highly underutilized by small to mid-sized companies. In this article we will cover some things you probably didn’t know about SMS text marketing, and reveal things that may even make you think twice about incorporating it into your own marketing mix. SMS Marketing is permission based- That’s right! Many marketers think you need to have access to a pool of phone numbers you have from customers, or even worse, can buy from 3rd parties. Not only is it annoying to send text messages to #’s that have not opted in, but it’s also illegal! The legal and correct way to do SMS text marketing is to grow your own list through campaigns promoted to your targeted audience. SMS Text Marketing is Cost Effective –Marketers are often shocked when they hear how inexpensive SMS marketing is. Often price will vary but if you shop around you can find the best solution for you. MKtg4theFuture basic SMS marketing campaigns start at $500.00/month and includes UNLIMITED messages with up to 1,000 opted in subscribers! You Don’t Need a Customized Short Code- Many marketers are under the wrong impression that you need a customized short code, and this couldn’t be further from the truth. While some large brands may find value in getting their own short code, most businesses can save the expense and time. 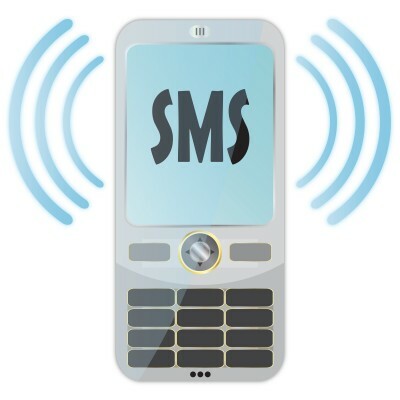 Like many SMS marketing solution providers, we provide our shared short code to clients. This saves them money and allows them to get up and running quick. Your Customers Want To Hear From You- This is a common misconceptions amongst marketers that are first getting involved in SMS. However this statement is quite simply not true. Remember, your customers have opted in to your SMS campaign because they want to hear about the latest discount, or company news. If they didn’t want to hear from you then they wouldn’t have opted in! It’s for all ages- Marketers often believe that SMS text message marketing is a great way to hit your target audience, if your target audience is teenage girls…WRONG! 81 percent of all mobile phone users use text messaging. So SMS text marketing is NOT just for “the young customer”. With unlimited subscribers and advanced mobile solutions, our pricing makes sense. We are your most valuable resource, they work closely with you to guarantee increased revenue. Our mobile marketing campaigns are designed to reach your customers, allowing you to speak directly to their mobile phone. Mobile marketing is opt-in only, which means your customers ask to be subscribed to updates. No spam, and that’s a promise. We give you instant contact with your customers through mobile phones – everyone has one, and it’s with them all the time.